Captivating five-piece band, Dande and The Lion have released their otherworldly new single “Stardust”, accompanied by an innovative animated music video. The track, reminiscent of Purity Ring and The Preatures, leads the listener on a rollicking ride through the cosmos, embellished by enthralling harmonies and powerful production. Lyrically, “Stardust” explores humanity’s significance in the universe, and our desire to explore and learn, adapt and evolve, appreciate and reflect, live with joy and die without fear, and through all of this, to connect with the universe. The accompanying music video, created by motion graphic artist Apattra Hongsuwong, is a visual journey through space, inspired by 80’s 2D cartoons. 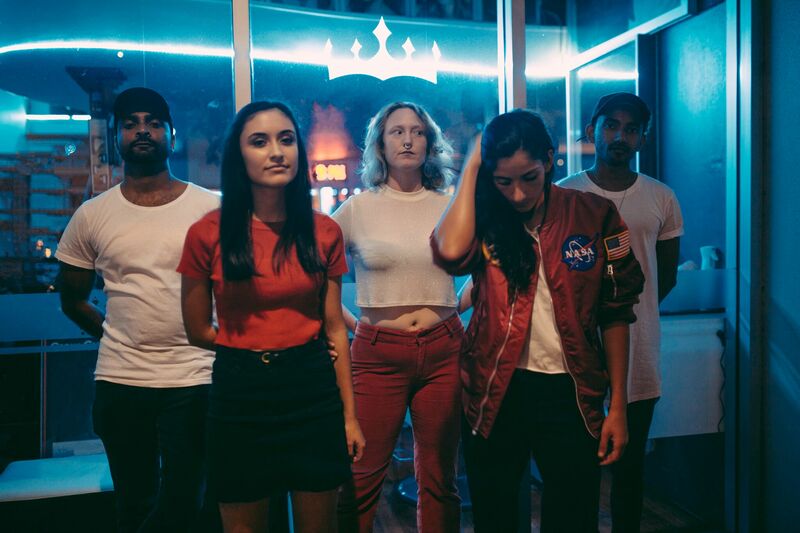 Previously making the top 5 in Triple J‘s Unearthed Indie Charts, the top 10 in the Overall Charts, and selling out Sydney’s acclaimed The Oxford Art Factory, the band was in high demand throughout 2018, playing over 40 shows across NSW and VIC. Stardust is the first release from Dande and the Lion’s much anticipated EP (recorded and produced by Lachlan Mitchell), which promises to channel the electric live energy that is their trademark. “STARDUST” is available for purchase and stream on all platforms now!